Every once and a while an artistic endeavor is so bold, so courageous and so innovative we are left speechless in its wake. 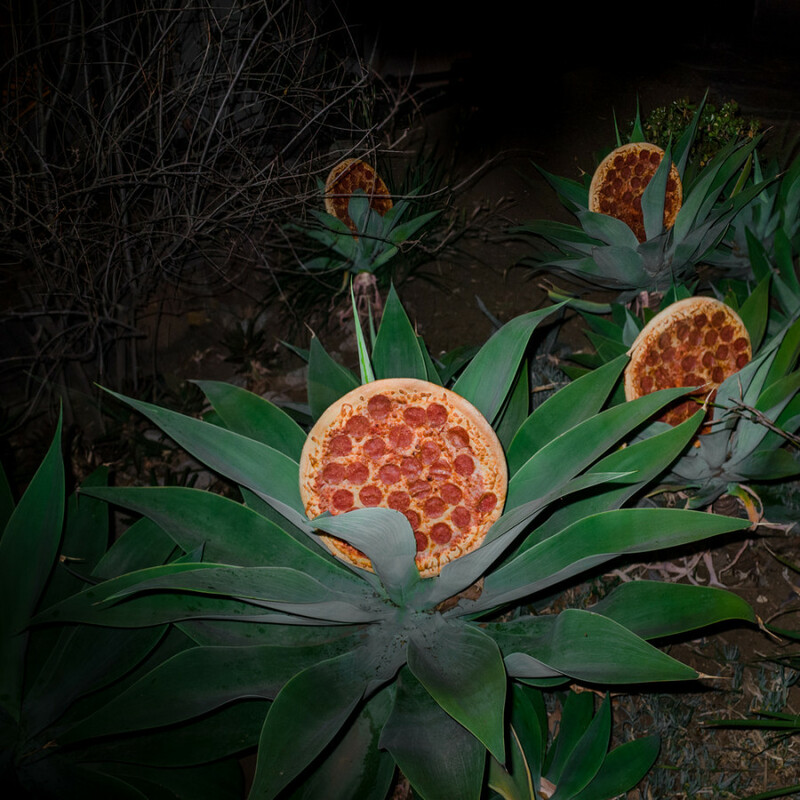 Today, that project is "Pizza in the Wild." The brainchild of Los Angeles-based photographer Jonpaul Douglass, the Instagram series that is so much more follows unsupervised pizzas -- pepperoni pizzas, to be exact-- living the L.A. life. Tagged #pizzainthewild, the photos capture pizzas on basketball hoops, pizzas on dogs, pizzas on car windshields, pizzas in nature -- do you see where this is going? The photographic subjects, Little Caesar's $5 pies, add a tantalizing and surreal touch to the dry cityscapes of California. "Much of the time I will pick up two pizzas and then after I run around town photographing them I will put them in my fridge in case I get another opportunity. If you look at the series you can see that some pizzas are fresh and some look to be days old. This works because some situations call for a floppy pizza and some call for a stiff pizza. I also must admit that there has been times where a used pizza gets eaten anyhow, it’s tough to ride around with a freshly baked pizza and not be tempted."